John Lloyd Cruz was spotted at ex-girlfriend Angelica Panganiban's house where the latter hosted a dinner party for Victims of Love co-star Julia Montes. 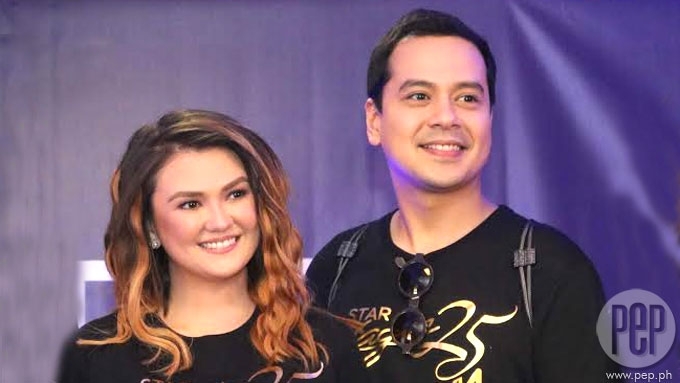 Ex-couple John Lloyd Cruz, 33, and Angelica Panganiban, 30, prove that all is well between them as they are consistently seen together these past few months. Last night, March 21, John Lloyd was seen at Angelica's house where the latter had set up a dinner party for birthday celebrator Julia Montes, who turned 22 last March 19. Angelica and Julia happen to be co-stars in ABS-CBN’s yet-to-be-aired teleserye Victims of Love. The photo was posted on the Instagram account of Mac Merla, Angelica’s good friend as well as Julia’s handler. Angelica and John Lloyd were seen together at an art fair in Makati last month. Angelica, for her part, once hinted that she is not closing her doors to the possibility of reconciliation with John Lloyd. In an interview with PEP.ph (Philippine Entertainment Portal) last November, Angelica carefully stated: “Ngayon, hindi ko siya masasagot. “Masyadong maaga o baka may mali akong masabi, di ba? "Kaya mas magandang wala na muna akong sasabihin about that."